I haven’t been blogging all that much lately but with very good reason. I’ve, instead, been pounding away at the manuscript for my upcoming book! An actual book. About becoming vegan. Overnight. A month or so ago I was contacted by Skyhorse Publishing in New York City. They stumbled onto my blog (this blog) and asked me if I would consider sending them a proposal for a book about becoming vegan. Skyhorse — with its thirteen imprints (Allworth Press, Arcade Publishing, Carrel Books, Gary Null Publishing, Good Books, Helios Press, Hot Books, Night Shade Books, Not For Tourists, Sky Pony Press, Sports Publishing, Talos Press, Yucca) now boasts a backlist of more than 6,000 titles!Since its founding, Skyhorse has published an eclectic and maverick list that includes books on history, politics, rural living, humor, and more. With its imprints, the Skyhorse program now includes business, art, fiction, regional books, and children’s books. And soon The Skeptical Vegan (based on The Meaty Vegan based on The Reluctant Vegan)! I tried to act all laid back but, of course, I said yes. Enthusiastically. Skyhorse currently has 39 titles on the New York Times bestsellers list and I’m now committed to being #40! The book is a mashup of a memoir of a man who went vegan overnight (reluctantly) to eventually become an ethical vegan. You’ll laugh. You’ll cry. You’ll wish your copy was signed (don’t worry … just let me know, I’ll sign it). The 300+ page (?) book is ideal for the person who is considering going vegan and for the person who wants someone to go vegan (you all know who you are). It’s an honest and candid, personal story about the challenges, and triumphs, of being vegan. It will also include over 25 meaty vegan recipes. What happens when a 40-something man goes from notorious meat eater to tofu munching vegan overnight? 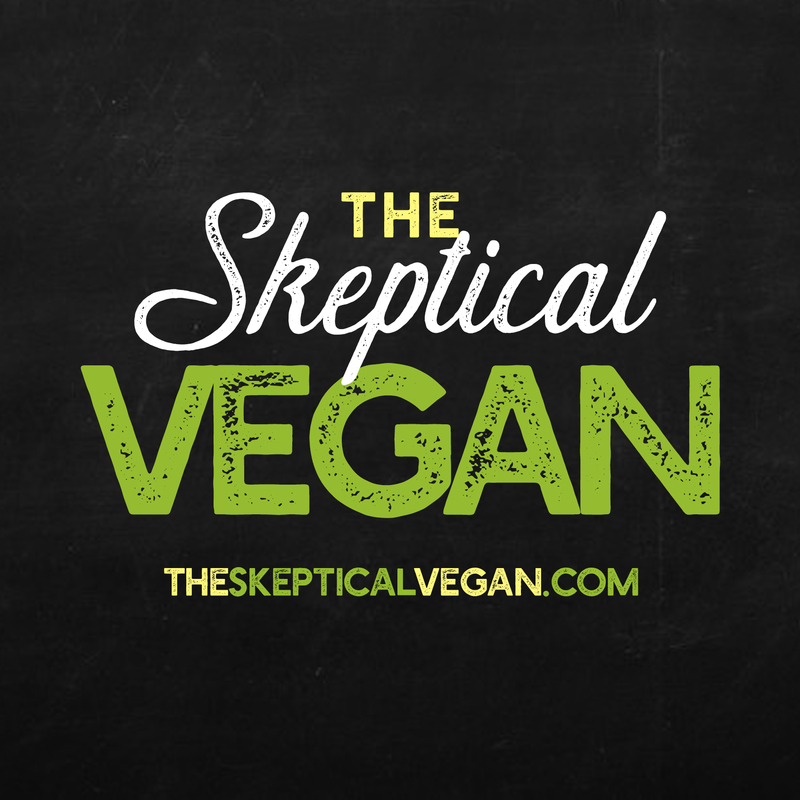 “The Skeptical Vegan” covers everything from late-night cravings and surviving no-oil, no-salt, no-nightshades, no-nuts, gluten-free, plant-based potlucks; to weight loss and erections. This semi-autobiographical book, complete with more than 25 easy-to-prepare meaty vegan recipes, proves that anyone, at any age, can turn their lives around and go vegan for their health, the environment, and the animals. At this point, I am roughly 55,000 words into a contracted 81,000 words and, so far, all the words are in the right order and spelled right. According to Skyhorse (of course they haven’t read the manuscript yet), the book will be released August 2017! Their designers will send mockup cover designs next month and their marketing department will officially sign-off on the title of the book (which may or may not be The Skeptical Vegan). I will post updates here as they happen. I want to thank all the followers of this blog for continuing to tune in, share, and comment on my writing. This all happened because of you. I am beyond excited to share this vegan journey with the world. UPDATE: 84,000 word count reached and manuscript will be sent on 10/5/16 to Skyhorse! JANUARY 2017 UPDATE: PRE-ORDER NOW available!